Another one that was made ages ago! I snipped this recipe out of the Sainsbury's magazine back in October-ish time, but I think it's a Dan Lepard recipe (really should have taken a note, all I have is a very neatly cut out rectangle with the recipe on). 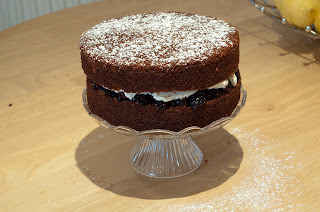 I love cinnamon cake and thought the addition of blackberries would make for a very wintry treat.... plus I was desperate for something without apples after the plethora of apple recipes I seemed to be baking in the Autumn! 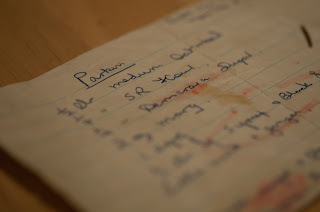 Edit 17.01.12: Recipe is indeed from Short & Sweet by Dan Lepard and appeared in Sainsbury's magazine. Ingredients and method removed for copyright reasons. This post is long overdue, but I've got to catch up on what I've already baked before I can share anything new! 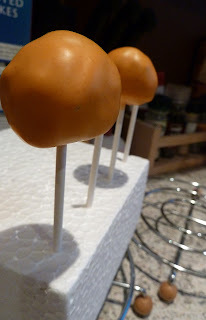 Cake pops are something I had been wanting to try for ages now but had seen many people saying how you need to set aside lots of time and have lots of patience for them (patience not being something I have at all). But after seeing the amazing Halloween cake pops (yep told you it was long overdue) on The Pink Whisk's blog I decided to give them a go as I love all things Halloween and wanted to top the spider cakes I did last year. I'm sure you're all sick of looking at festive food by now, so I'll keep this brief! 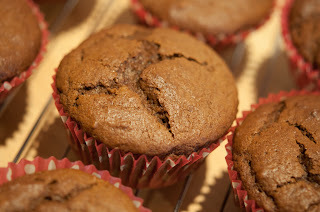 After the madness of last year's Blogvent, Christmas baking in my house this year was a bit more few and far-between! I only baked one new Christmas bake this year which was these Gingerbread cupcakes - recipe was from the Pink Whisk and can be found here. They were yummy and very festive but a bit on the heavy, treacle-y side for me. Mike loved them though since he is a treacle fiend! Sadly I didn't have any cute gingerbread men to decorate them with but instead used some festive silver balls. I just used normal icing mixed with lemon juice instead of water.